The leaves are starting to change color, which means it's a terrific time for a scenic fall drive. 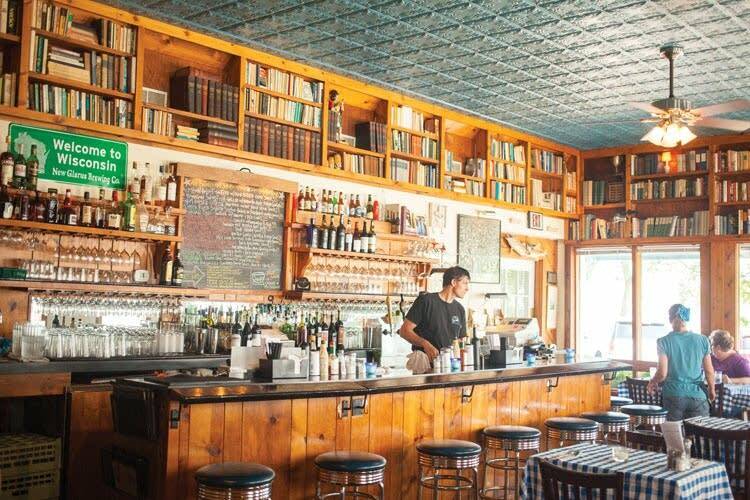 Rachel Hutton, senior editor of Minnesota Monthly magazine, recently took a road trip along the Mississippi River in search of its best destination restaurants. She shared her finds with MPR News' Tom Crann. 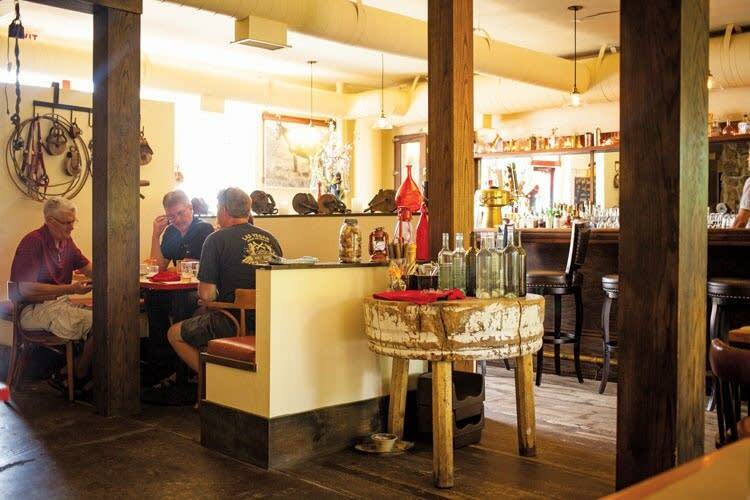 TOM CRANN:So haven't some of these river town restaurants been travel destinations for quite some time? RACHEL HUTTON: Yes. The first stop on my trip, the St. James Hotel, in Red Wing, was built in 1875. That was back when Red Wing was the wheat-trading capital of the world, and the grand, Italianate-style building was a symbol of the town's wealth. Over time, the hotel's dining services have changed, of course, and these days, its fine-dining restaurant is called the Port. For years, the Port was known for its classic comfort food — popovers, French onion soup, and such. But a new chef came in a couple of years ago and modernized the menu, so now it includes everything from bison ribeye steaks to confit pork belly to — my favorite — a fabulous fried ice cream dessert. CRANN:Are there other River Road stalwarts? HUTTON:The Harbor View Cafe in Pepin, Wis., has also been around for a long time — more than 30 years. 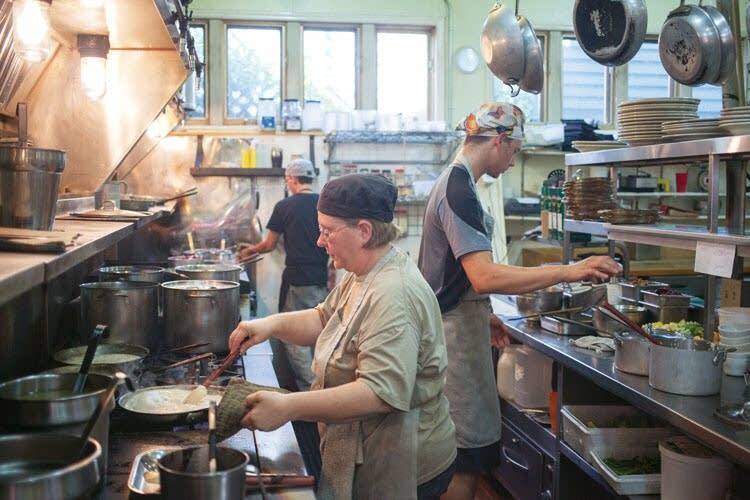 It serves generously portioned, scratch-made meals, everything from catfish to pasta to curry, as well as fabulous pie. The Harbor View's homey charm hasn't changed over the years — it has cute checkered tablecloths, shelves of old books lining the walls, a chalkboard menu — though the restaurant recently modernized, and shocked some of its regulars, by installing a credit-card machine, as diners were previously only able to pay with cash or check. HUTTON:A few years ago, a young restaurant named Nosh moved from Wabasha to Lake City, to a two-story building with a beautiful roof deck overlooking the city's harbor. It has the best view of any of these riverfront restaurants. 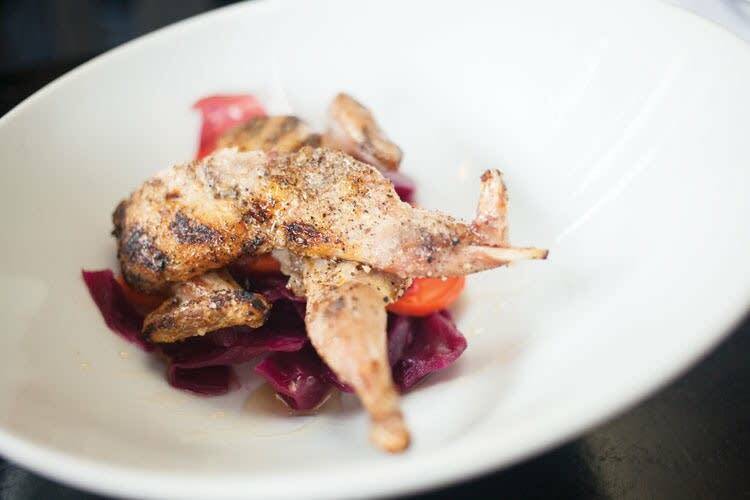 Nosh also has the most upscale and wide-ranging menu, with everything from scratch-made sausages to seared foie gras to seafood paella. Interestingly, Nosh also has what may be the most extensive craft-beer list outside of the Twin Cities metro area — in fact the restaurant is so into beer, that the owners are building a nano-brewery on site. CRANN:Any new restaurants this season? 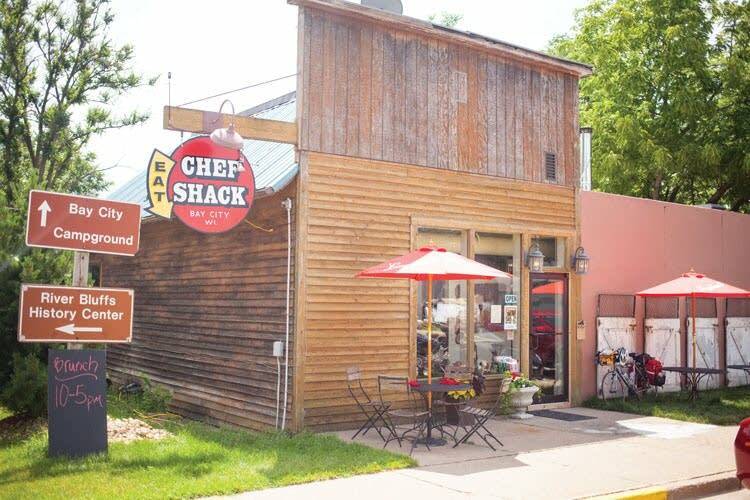 HUTTON:Yes, there's a new eatery in Bay City, Wis., called Chef Shack, created by the duo behind the popular fleet of Twin Cities-based food trucks of the same name. Chef Shack opened last winter. 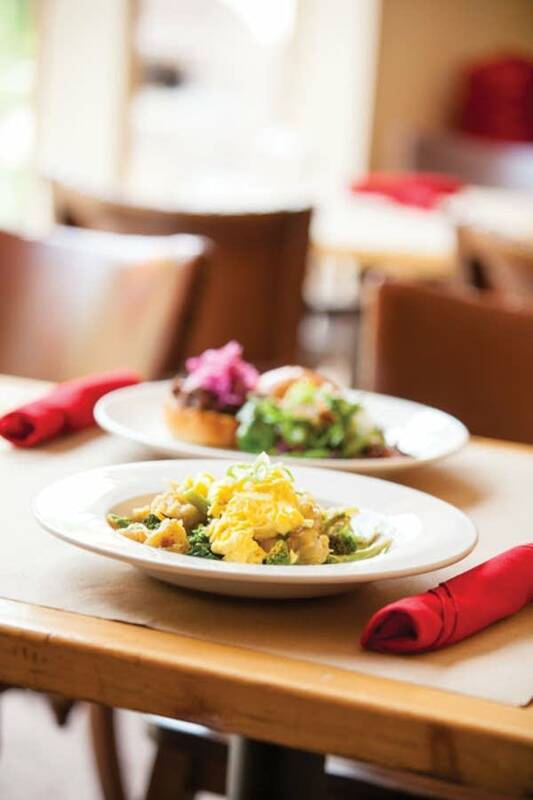 It's a cozy little place with a small-but-interesting dinner menu, offering everything from house-made charcuterie to rack of lamb, and it also serves brunch on weekends. If you're a fan of the food trucks' mini-donuts made with sweet Indian spices, as I very much am, you'll enjoy seeing the donuts on the restaurant's dessert menu, having been transformed into a rich bread pudding. CRANN:What about down near the Iowa border? Is there a restaurant you'd recommend in Winona? HUTTON:The nicest place to eat in Winona is Signatures, which overlooks the Bridges golf course just outside of town. It's a white-tablecloth restaurant that serves some local food, such as walleye from Red Lake, as well as globally inspired dishes. When I visited I enjoyed a prettily plated tower of crabmeat, avocado, and ginger that was as carefully manicured as the golf greens out the window.